Come visit us at our downtown Salida location and share your favorite winter story with us, learn about all things Monarch, pick-up or purchase your season pass, or just chill. Looking for a cool souvenir? We’ve got hoodies, stickers, hats, t-shirts, art and other fun stuff, too. 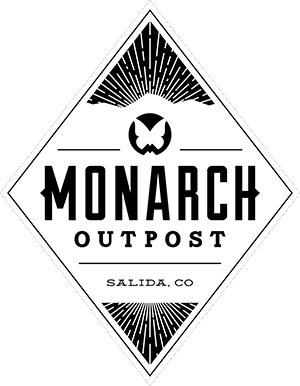 The Outpost is Monarch’s Salida extension. Ski Salida, Ski Monarch! The town of Salida, just 20 miles from Monarch Mountain, is rooted in a rich mining history and was shaped by rivers and railroads. Established in 1880, Salida quickly became a thriving mining and agricultural community. As the mining industry and railroads began to decline in the 1950’s, tourism became an ever important economic force for the community. Monarch Mountain, established in 1939, was a key component in the shift to tourism as the main industry of the valley. The picturesque landscape continues to attract year-round outdoor enthusiasts and artists alike. Historic downtown Salida is a certified creative district and boasts many artist-owned galleries, shops, restaurants and bars. 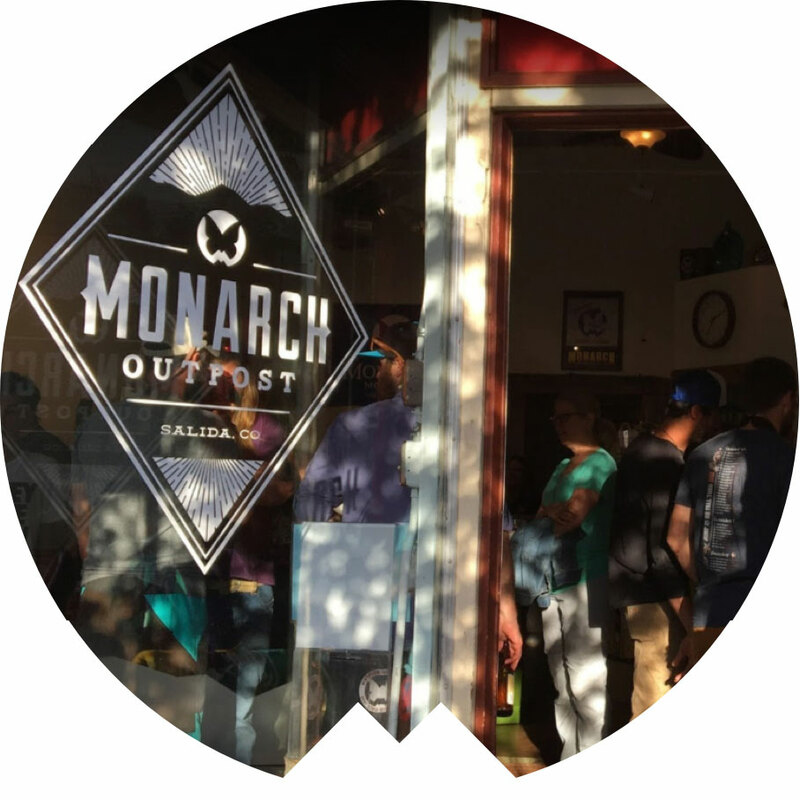 The Monarch Outpost is in the heart of it all occupying the small one-story brick commercial building at 123 F Street. The building was erected during the building boom between 1883 and 1886 and housed one of the pioneer dry goods firms in the city. The Monarch Outpost was established in this historic building in 2017. Later, J.F. Hutchinson had a meat market here that advertised “cleanliness and good service” and carried fruits, vegetables, eggs, butter, and pickled and canned goods” as well as meat. Monarch Mountain Salida Outpost offers ticket and season pass sales, Monarch Mountain souvenirs including t-shirts, hats and stickers. It’s also the place to go for any general information about Monarch Mountain, or if you just want to get excited for the upcoming season. Check out our new downtown Salida location at 123 N F. Street in the heart of historic downtown Salida.